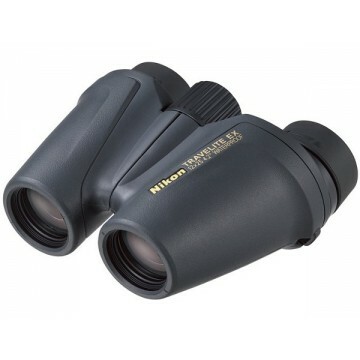 Versatile, all-round binoculars with 12x magnification, 25 mm objective lens and a compact, lightweight body. Nikon’s multilayer lens coating delivers superior light transmission for bright, clear images and aspherical eyepiece lenses minimize image distortion. With a highly durable, waterproof and fog-free construction, they are perfect for nature watching on weekends away and ideal for tough outdoor activities such as mountain climbing or trekking. Waterproof (up to 2 m for 5 minutes) and fog-free with O-ring seals and nitrogen gas. 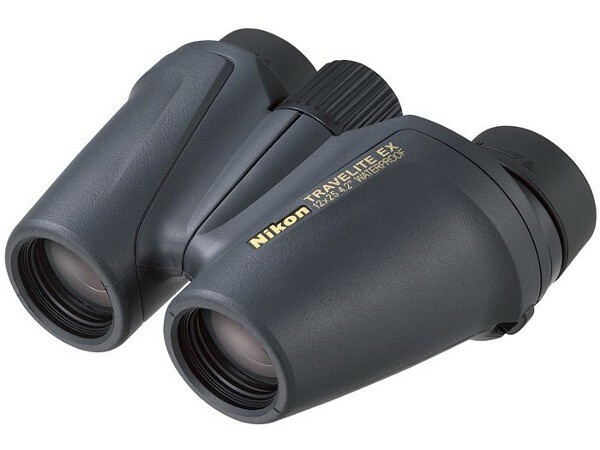 Aspherical eyepiece lenses minimize image distortion. Multilayer-coated lenses deliver superior light transmission for bright, clear images. Click-type diopter adjustment: lets you compensate for differences in sight between your left and right eye for a sharp, balanced view. Turn-and-slide rubber eyecups make it easy to position your eye at the correct eyepoint. Rugged aluminum die-cast body: durable design with rubber armoring for shock resistance and a firm, comfortable grip.